We are very proud to announce that we were named Smaller Business of the Year, for the second year running, and also won the Customer Service Award at the Peterborough Telegraph Business Awards on Friday 20 November. The winners were announced at the Awards Dinner on Friday and we were honoured to be part of such a great occasion. It was inspiring to see so many thriving local businesses and to share in their success stories. Winning both awards was the icing on the cake! Since winning Smaller Business of the Year last year so much has changed and it has been a very busy but exciting time. We have moved to bigger premises, our workforce has nearly doubled and we have launched many new and exciting products. Customer care is the key philosophy of XL Displays – our customers are at the forefront of our work and we try to make sure they all have the same excellent experience when dealing with us. Over the past year we have put a lot of resource and effort into improving our customer service and all of our staff, particularly in our customer service team, have worked really hard to make things better. To win both awards is recognition of all this ongoing hard work. None of this growth, improvement and development would have happened without the dedication, professionalism and hard work of every one of our team members so a huge thank you to them – we have a great team. We would like to thank all of our customers for their support. We ask all of our customers to review us on independent review site Trustpilot and many of them take the time to do so. Over 95% of our Trustpilot reviews give us 4 or 5 stars out of 5 which proves that our approach to customer service is working. We would also like to say a big thank you to all of our suppliers and business partners, without whom we wouldn’t have this success. 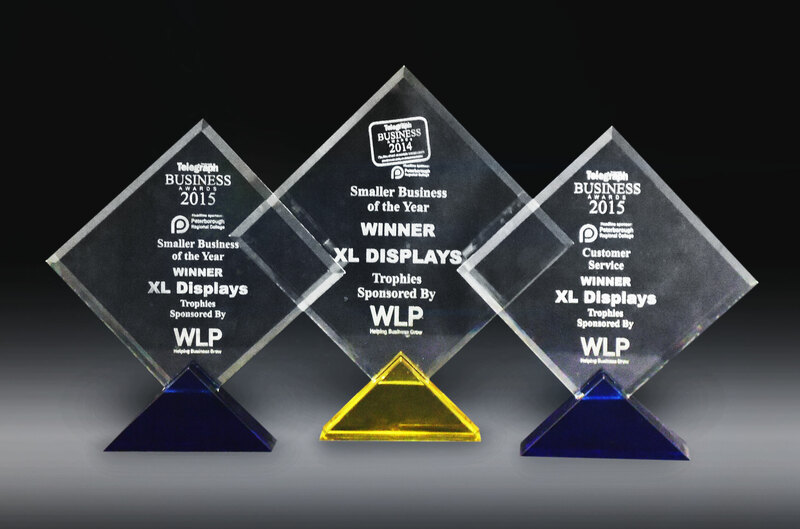 To win both awards is a huge achievement for XL Displays and we will continue to grow, develop and put the customer first in 2016.